This super smart watch is designed to make life a little easier for busy individuals, functioning as a phone with the ability to receive calls, and texts! Whether you’re taking snaps with the camera, counting steps or tracking sleep do it all from the wrist and you’ll wonder how you ever got on without it. 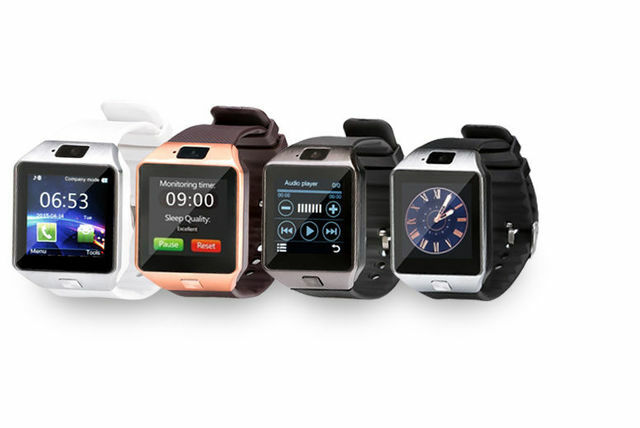 Stay ahead of the curve with a 22-in-1 bluetooth smart watch! Available in silver with a black strap, black with a black strap, gold with a brown strap or silver with a white strap. Elegant design with tonnes of handy functions such as social media browsing & internet access. Plus receiving calls, texts, a pedometer, camera & more! On an 1.56″ LCD capacitive touch screen. Full bluetooth connectivity with iOS and Android.